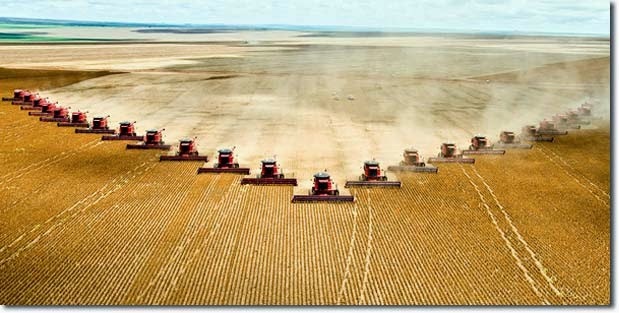 What big agribusiness with its industrial model of globalised agriculture claims to be doing – addressing global hunger and food shortages – is doing nothing of the sort. There is enough evidence to show that its activities actually lead to hunger and poverty – something that the likes of GMO-agribusiness-neoliberal apoligists might like to consider when they propagandize about choice, democracy and hunger: issues that they seem unable to grasp, at least beyond a self-serving superficial level. It amounts to little more than the start of the US colonisation of Ukraine’s seed and agriculture sector. This corporate power grab will be assisted by local banks. Oriental Review says they will only offer favourable credit terms to those farmers who agree to use certified herbicides: those that are manufactured by Monsanto. Interestingly, the investment fund Siguler Guff & Co has recently acquired a 50% stake in the Ukrainian Port of Illichivsk, which specialises in agricultural exports.